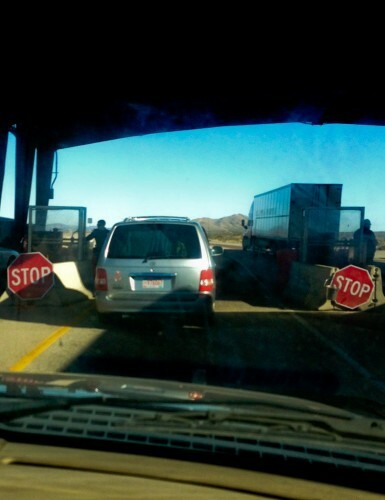 SIERRA BLANCA, Texas – A border county in Texas with two U.S. Border Patrol highway checkpoints is refusing to prosecute drug cases previously sent to it from those checkpoints. The county—and all four states bordering Mexico—wants funding from Washington, D.C. to handle cases that federal prosecutors decide to send to state courts. But federal money has run dry. A program that reimbursed California, Arizona, New Mexico and Texas for prosecuting federally initiated cases hasn’t been funded since 2013. The largest of the two federal checkpoints in the county is sometimes dubbed “Checkpoint of the Stars” because people such as Willie Nelson, Snoop Dog (aka Snoop Lion) and Fiona Apple have been arrested here after dogs detected marijuana. About 20,000 cars and trucks and buses heading east on Interstate 10, stretching from California to Florida, are stopped here each day. The checkpoint is located about 85 miles southeast of El Paso, Texas. In those three cases, the federal government opted not to prosecute. The three were handed over to the local sheriff, the first gatekeeper in the state legal system, and sent on their way after paying fines and court costs. Four sources interviewed for this story—a state prosecutor, a county prosecutor, a county judge and a former Assistant U.S. Attorney—say the threshold for federal prosecution of marijuana cases in borderland Texas counties is generally 20 kilograms, or about 44 pounds. Which until recently made for a sweet deal for cash-strapped Hudspeth County, Texas. With a population of 3318, the tax base here is small. “We’ll all do it if it will makes us a little money. In the beginning it made us money,” said the County Prosecutor here, Kitt Bramblett, referring to handling federally initiated drug cases. He was speaking about federal funding that once covered the cost of taking drug cases the government didn’t want. The funding did more than that. For a time it translated into a profit. “The county was broke and the first check we got was two million dollars,” he explained. That was in 2002. The Department of Justice was reimbursing the four border states bordering Mexico to handle federally initiated cases. But that program—the Southwest Border Prosecution Initiative—hasn’t been funded since 2013. The straw that broke the camel’s back here was the end of a Drug Enforcement Administration (DEA) grant in late 2014. The grant helped the county after the Southwest Border Prosecution Initiative ended. “And they (the DEA) said, ‘We’re not renewing the grant.’ And we said, ‘We’re not taking any of the cases,’ said County Judge Mike Doyal, the chief elected official in Hudspeth County. And so the county isn’t accepting any federal narcotics cases. “The old expression is, you caught the cat, you skin it. I don’t have objections to skinning that cat for them as long as they’re going to pay for it,” Joyal said. The Center for Investigative Reporting in Emeryville, California says its analysis of government data shows that between 2005 and 2011, 88 percent of the drug seizures at Sierra Blanca—mostly for marijuana — fell below federal trafficking thresholds. That statistic meant major revenue for the county, at least for a time. In 2008, documents show that Hudspeth County was reimbursed close to a half million dollars for holding people until the state took over prosecutions of federally initiated cases. By 2013 that number fell to 70 thousand dollars. But the county still made money in county court on fines it levied in lower level. Misdemeanour cases that neither the federal government nor the state wanted. Now, Doyal said the county has made what he says is a necessary but difficult decision to decline federally initiated cases. This county has taken the same tack before. For three weeks in 2012, a senior Border Patrol spokesperson told Marfa Public Radio.\/ West Texas Public Radio that more than two dozen people caught with small amounts marijuana were relieved of their drugs and released at the checkpoint without facing any legal penalties. Jennifer Chacón at the University of California Irvine School of Law says the Texas case isn’t unfolding in a vacuum. “What we are seeing is part of a broader set of developments that have been caused by Congressional choices about funding law enforcement particularly along the southern border,” she said. There are no current plans in Congress to bolster funding for border states prosecuting federally initiated cases. And Chacón says that as a matter of constitutional law, the federal government can’t force a county to bring charges under state law if the county doesn’t wish to. “It is telling that we see this in Hudspeth County, in the state of Texas, a state that has drug laws aligned with the federal government’s zero tolerance approach,” she said from Cambridge, Massachusetts where she is a Visiting Professor at Harvard Law School. “The gaps will be even wider in states like California and Colorado, where those states’ more tolerant drug policies may make it even more difficult for the federal government to lean on state and local law enforcement for cooperative enforcement support,” she said. The U.S. Attorney’s Office for the federal Western District of Texas declined to comment. The DEA and the Department of Homeland Security are prosecuting some of the marijuana cases that are once sent to the state, causing budget constraints in those agencies, a feeling that one Texas county says it knows all too well. 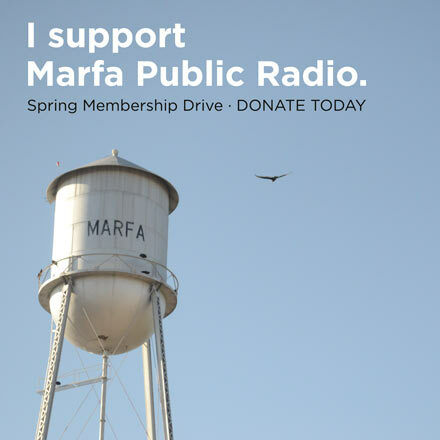 This conversation was produced by Lorne Matalon, in collaboration with Fronteras, The Changing America Desk, a consortium of NPR member stations in the Southwest. This entry was posted in KRTS News, Politics and tagged Border Patrol, drug laws, Drugs, Hudspeth County, marijuana, Sierra Blanca, us attorney. Bookmark the permalink.